Own Teletubbies - Faces Mug from Deff, DVD, Blu-Ray & 4K Video Specialists - Free UK Delivery..
Own Teletubbies - Say Eh Oh White Framed Print 30 x 40 from Deff, DVD, Blu-Ray & 4K Video Specialists - Free UK Delivery..
Own Teletubbies - Time For Teletubbies White Framed Print 30 x 40 from Deff, DVD, Blu-Ray & 4K Video Specialists - Free UK Delivery..
Own Teletubbies - Big Hugs DVD from Deff, DVD, Blu-Ray & 4K Video Specialists - Free UK Delivery..
Own Teletubbies - Bubbles DVD from Deff, DVD, Blu-Ray & 4K Video Specialists - Free UK Delivery..
Own Teletubbies - Follow The Leader DVD from Deff, DVD, Blu-Ray & 4K Video Specialists - Free UK Delivery..
Own Teletubbies - Home Hill Adventures DVD from Deff, DVD, Blu-Ray & 4K Video Specialists - Free UK Delivery..
Own Teletubbies - Silly Fun DVD from Deff, DVD, Blu-Ray & 4K Video Specialists - Free UK Delivery..
It’s a bright sunny day in Teletubbyland and the Teletubbies are ready for some fun in the sun! 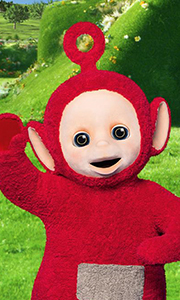 In this collection of six new episodes, Tinky Winky, Dipsy, Laa-Laa and Po go on a wild Tubby Custard Ride, open a magical party invitation and make a homemade telescope. Episodes • Messy Fun • Custard Chaos • Knock Knock • Things • Party Invitation • Taking Turns..
Own Teletubbies - Tubby Snowball DVD from Deff, DVD, Blu-Ray & 4K Video Specialists - Free UK Delivery..
TUBBY SNOWBALL It’s a cold day on Teletubbyland and snow falls on the Teletubbies! Join Tinky Winky, Dipsy, Laa-Laa and Po as they find big snowballs, dance with a snowman and watch children make a caterpillar out of snow. Contains six episodes including “Snowball”. Episodes: Snowball • Packing • Number Four • Flying • Taps • Party TWINKLE TWINKLE It is nighttime in Teletubbyland and the Teletubbies are awake! Watch Tinky Winky, Dipsy, ..